Hello! I used to write and ask questions here back in 2016. I just thought Id pop in and show off my Briard who since moved in with me and is currently sleeping on the floor as Im writing this. Here is Halde, almost 1,5 years old. A friendly and social boy with lots of energy (but actually just recently decided that he is not a completely wild puppy anymore, and started listening to his human more even in situations with more distractions..). Great to hear from you again, plus see your handsome boy. 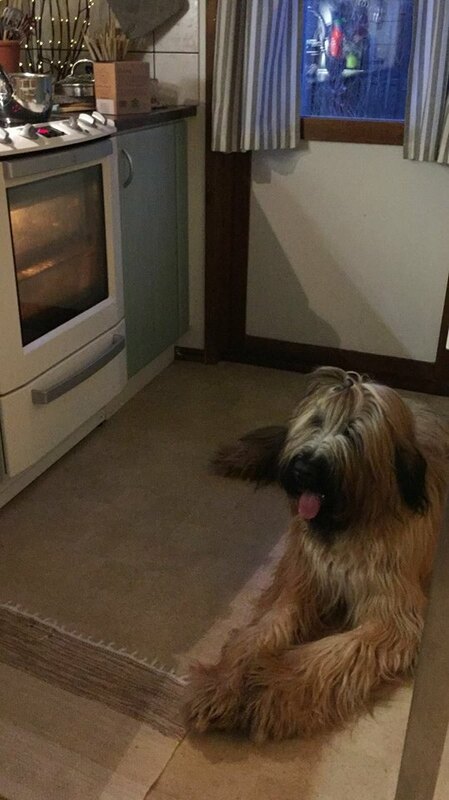 Is he waiting for whatever is baking in the oven....? So lovely to see Halde, he is gorgeous! I miss having a Briard & keep hoping the moment will come when I can have another. I winder if my small house would cope with 2 Berger Picards & a Briard. Plus one of my Picards is partially sighted & a handful at the moment, maybe when she calms down.